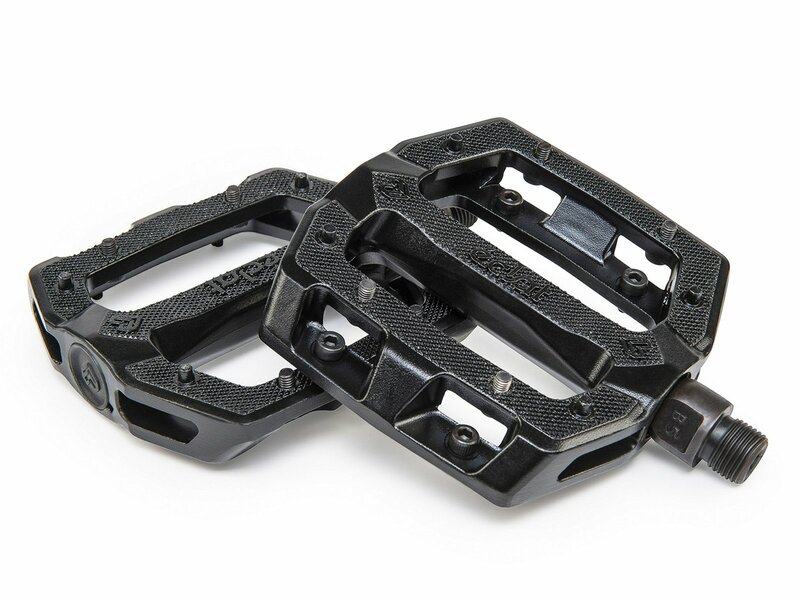 The pedal body of these flat platform designed eclat "Slash Alloy" Pedals is made of very long lasting aluminum. 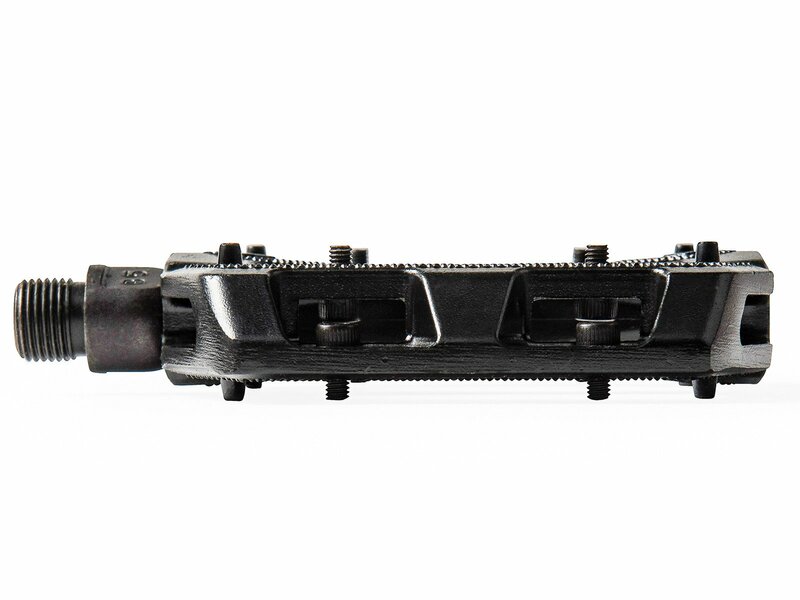 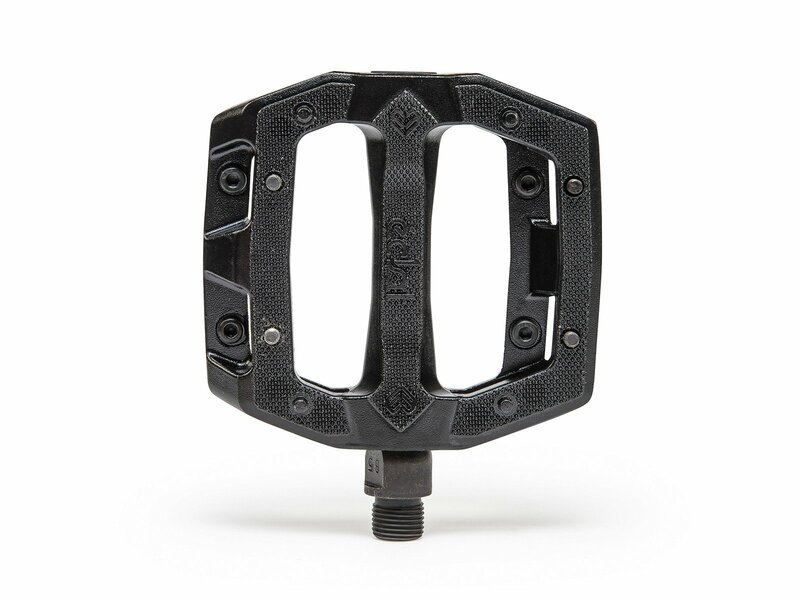 The axle of the eclat "Slash Alloy" Pedals is made of heat treated 4130 CrMo. 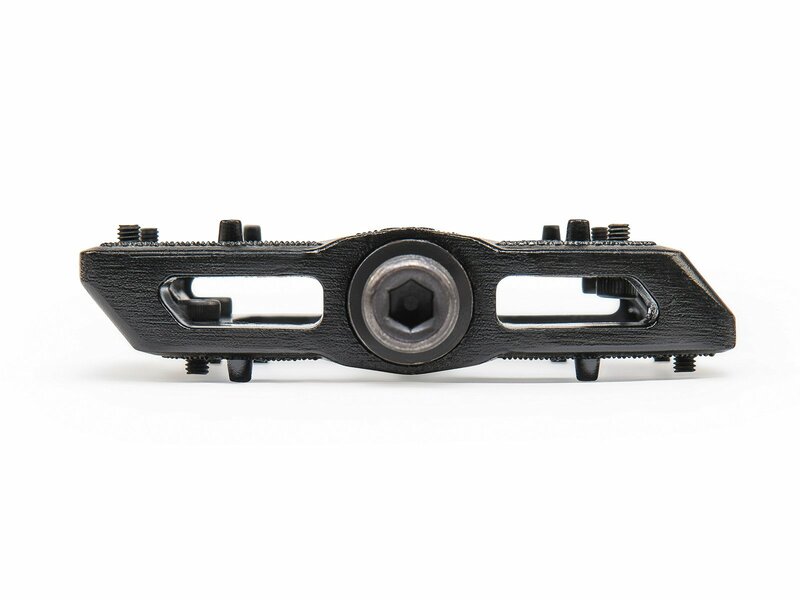 The large pedal body and the removable pins provide you a comfortable and non-slip stand.